Superdry men’s International straight chinos. A pair of chino trousers, made from soft cotton fabric, featuring a classic five pocket design and four button fastening. 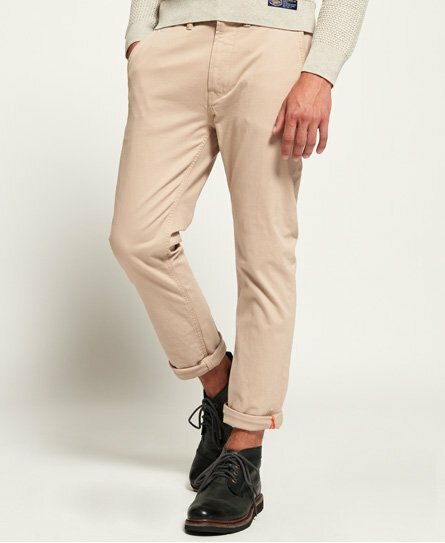 These chinos have belt loops and are finished with a Superdry tab on a front and back pocket.